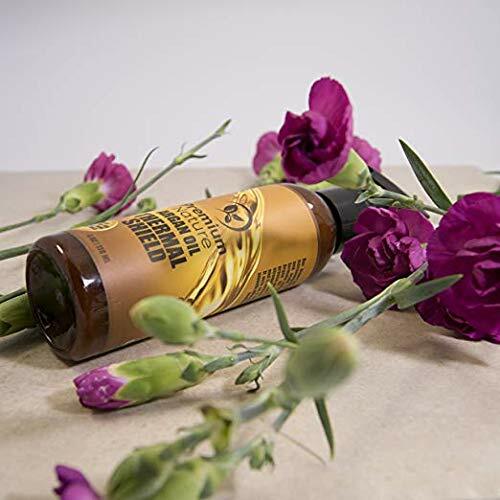 ALL NATURAL HEALTHY INGREDIENTS: With Premium Nature's Argan Oil Spray your hair will experience the nourishing qualities of the all Natural Ingredients. 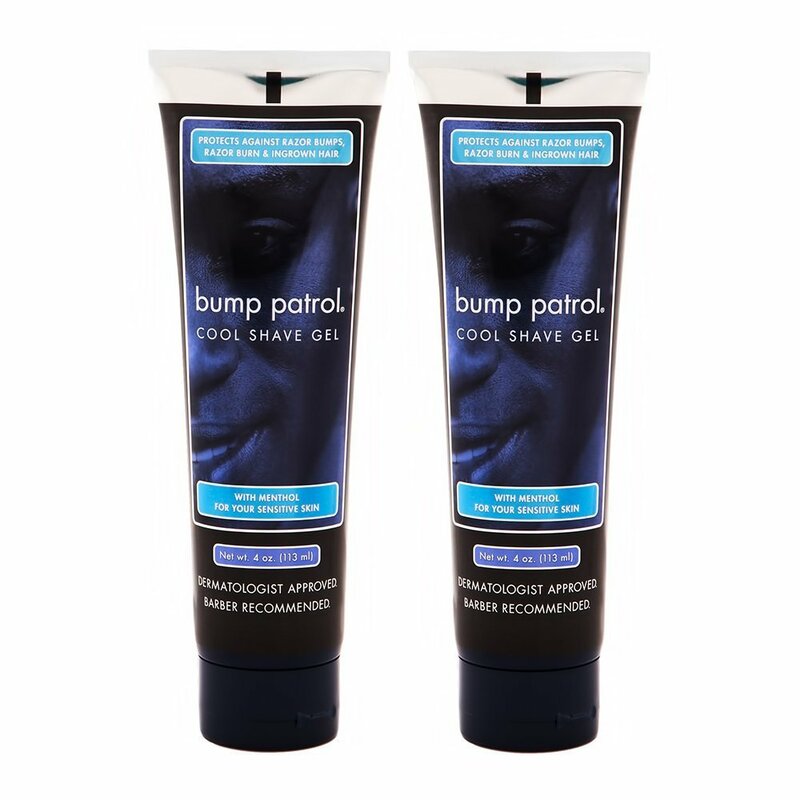 LEAVE IN CONDITIONER: Our Product Also Makes a Great Leave-in Conditioner. 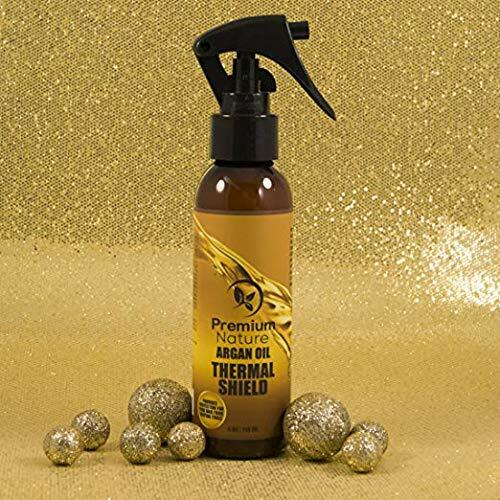 This spray moisturizes your hair and prevents it From Becoming Brittle and Dry HAIR DETANGLER: This hair protectant not only mositurizes your hair but also has detangler properties. If you were searching for an all in one product you have found it here. Our products are not only the best, they are also very affordable too. 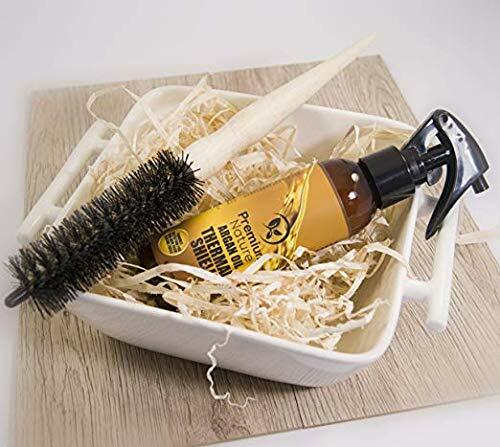 HAIR DETANGLER: This hair protectant not only moisturizes your hair but also has detangler properties. If you were searching for an all in one product you have found it here. Our products are not only the best, they are also very affordable too. I've gotten into the habit again of blow drying and flat ironing my hair again. I could see noticeable breakage and could also tell that I was drying out my hair. 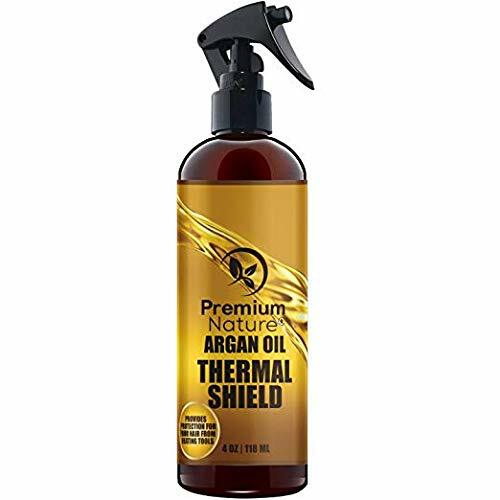 I knew I needed a good thermal barrier/protection from all this heat styling I was doing and this has proven to be that product. I have noticed remarkably less breakage and my hair has a new sheen and softness I haven't had in years! Strongly recommend! You can spray quite liberally as well. This product doesn't seem to build up on your hair at all. I apply to damp/almost dry hair for best results. Enjoy! 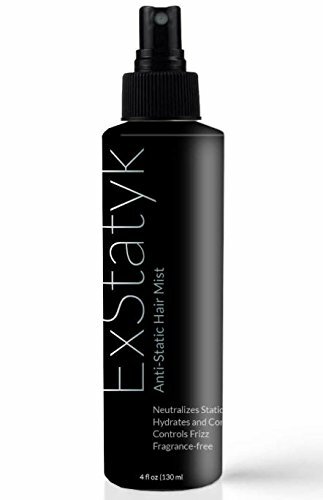 I love the smell of this spray, and it also works great to protect my hair. 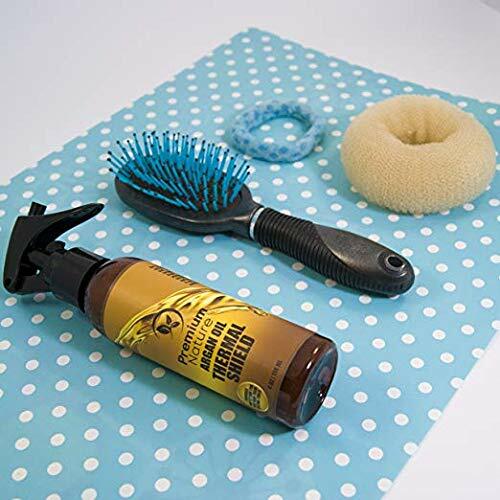 Even before I used the heat tools, this spray had already tamed down my hair and it was behaving way better than usual, without doing anything other than add the spray! 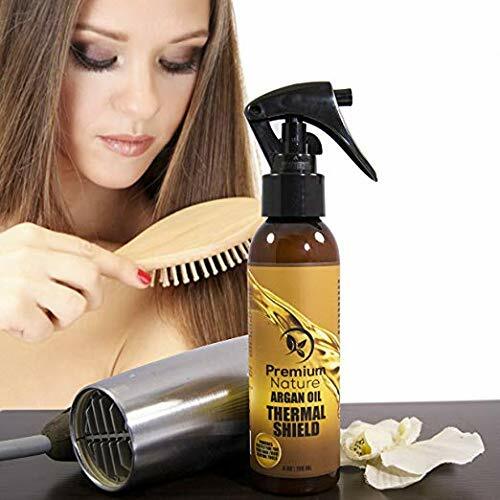 It did not create a burning smell when I used the heat tools, unlike some other thermal sprays I've used. Healthy ingredients for healthy hair - I will definitely purchase more when it runs out! 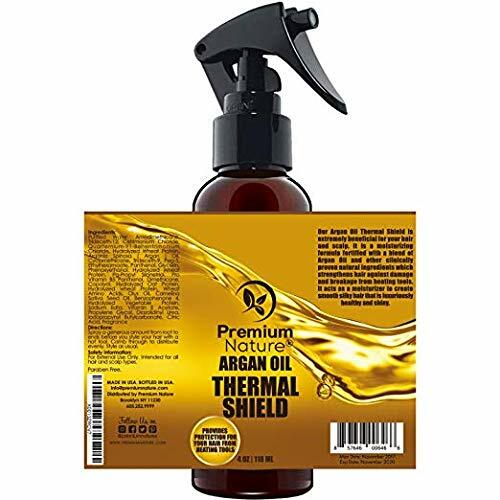 Not heavy or overly oily which is good for my fine hair. Heavy product is horrible for me. But it definitely seems to protect the hair. Time will tell how good it is working as I'm using this alone for heat protection. I'll update as soon as I have more feedback but so far so good. This heat protector is really nice. It makes my hair feel super silky, and smooth. I'm pretty sure I'll be buying this again. I love the bottle, it has a lock on it which is perfect for taking it on the go. It has a fairly strong scent, but it isn't unpleasant, it smell like what a hair dresser would use on my hair.